Living in London, I've come to take fine dining for granted. We are lucky in that we have a plethora of choice every way we luck. Fancy some fining dining French food? No problem. Fine dining Indian? You got it. Hey, I'm pretty sure if I googled it, there would be a fine dining burger restaurant. But back in my home town, fine dining isn't so easy to find. 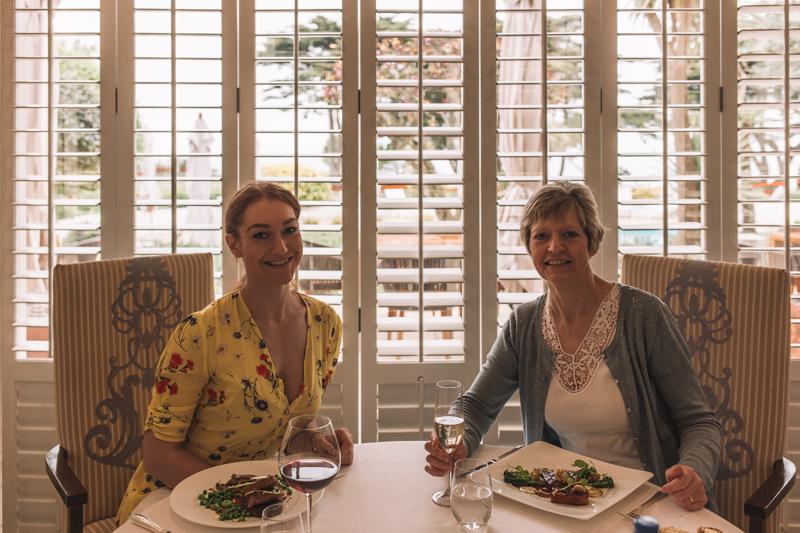 So it was really lovely to be able to take my mum to Ocean Restaurant in The Atlantic Hotel in Jersey for a very special lunch. Ocean Restaurant is a pure node to its coastal location. 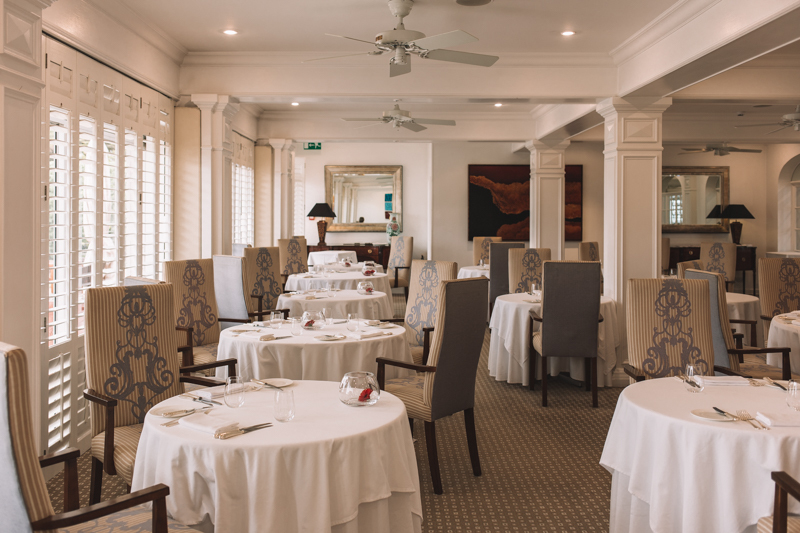 The Atlantic hotel is a luxury 5* hotel on the west coast of the island and sits right on the edge of the coast, overlooking some fantastic views of the beach and sea. The dining room is decorate in blues, whites and beiges to bring about a calm and relaxing space. 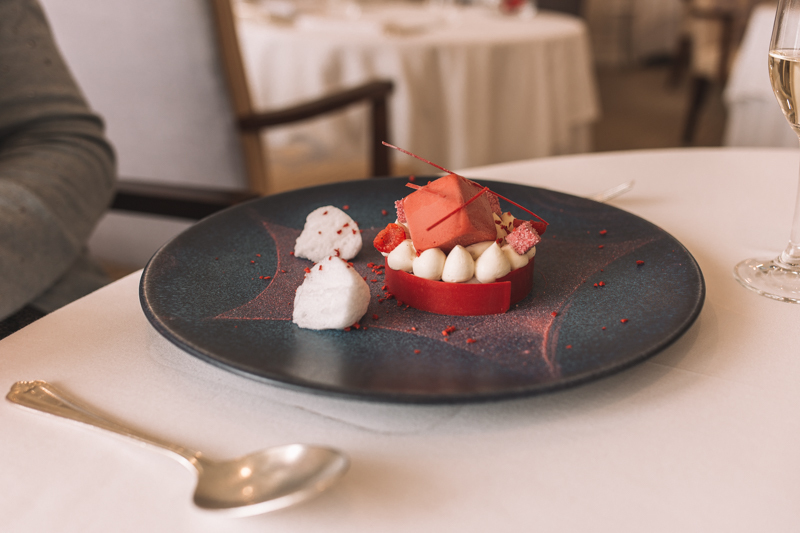 Executive Chef Will Holland, a Michelin Star holder, has created a menu that reflects the fresh produce of Jersey, with as much as possible coming local from the island. As you'd expect from a fine dining restaurant, the service was exceptional. Attentive and formal just enough, but still warm. We were brought over the menu which changes regularly to reflect seasonal produce. Why mum went for the pan fried goats cheese with rhubarb and crisp salad in a potato crisp basket which I was also debating. The presentation was beautiful and according to my mum, it was delicious. 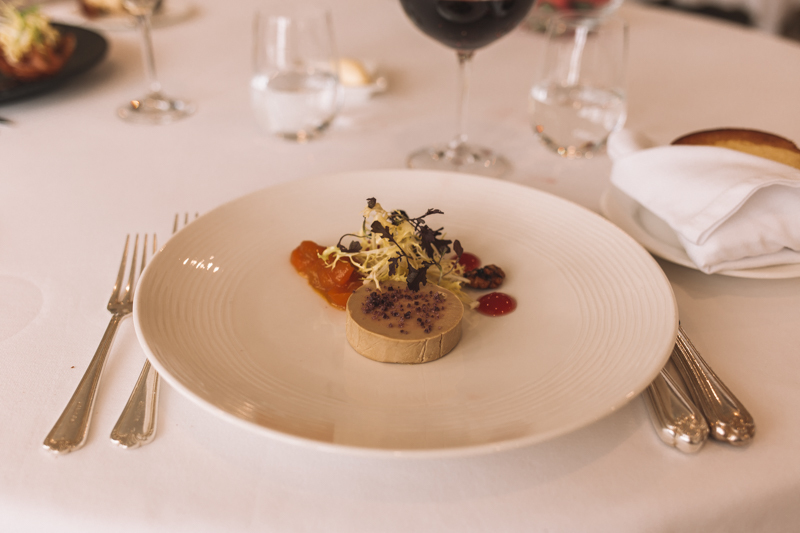 I opted for the fois gras ballotine with a kumquat and blood orange puree. I love fois gras, and this one was very good. Rich and fatty, which the sharp fruit purees really worked well with. After having a chat with the sommelier about what wines would work best (after all these years, I still can't decipher what wine would go with what. Although, does the average person ever know?) we chose our main course. It was lamb shoulder with a potato cake and mint jelly for my mum. 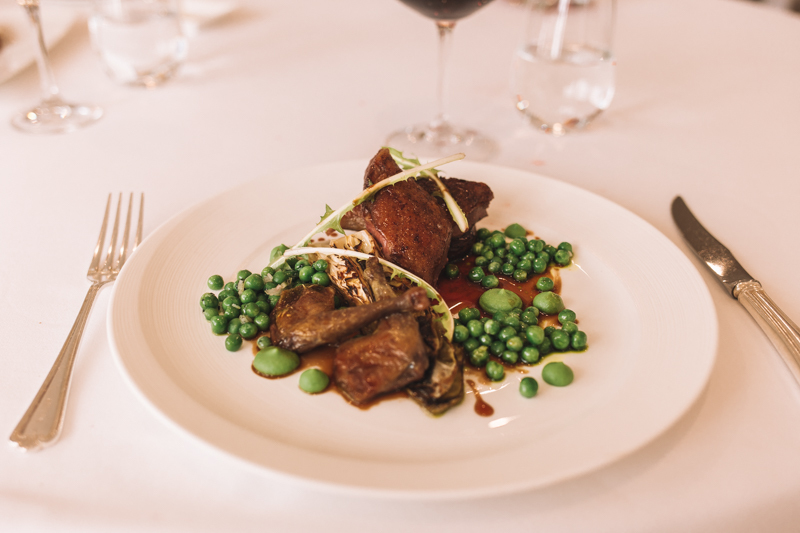 And squab pigeon with fondant potato, cabbage and pea puree for me. Have you ever had pigeon? It is really good. Yes before anyone asks, it is like chicken a bit, but a darker meat, and much more flavoursome, and I'd say more tender too as often chicken breast can be a bit dry. This however was certainly not dry, and the gravy was a fantastic mixture of meat juices and herbs. Even though it was lunch time, we decided dessert would be too good to pass up, and weren't we glad we opted for one. Just look at this masterpiece! Strawberries and cream tartlet with sugared strawberry marshmallows and raspberries. 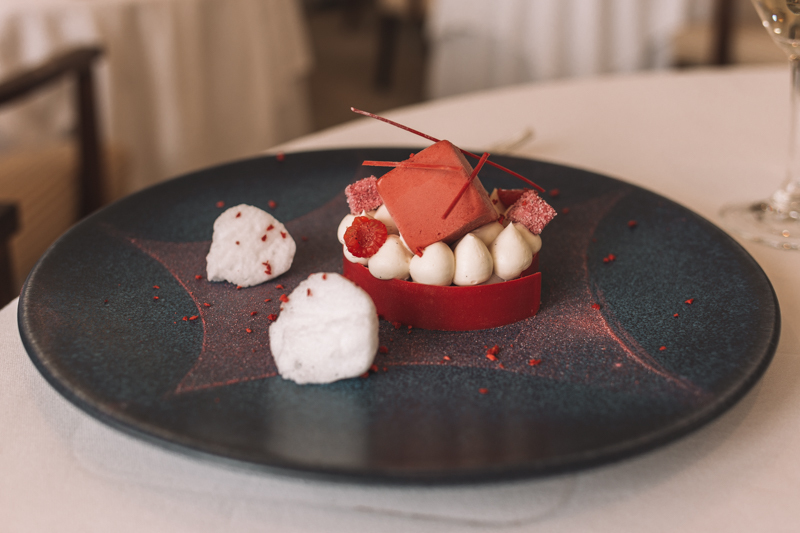 It's beautiful and almost too good to eat. Although dessert is never too good to eat. According to one very happy dinner (mum) it was as good as it looked. 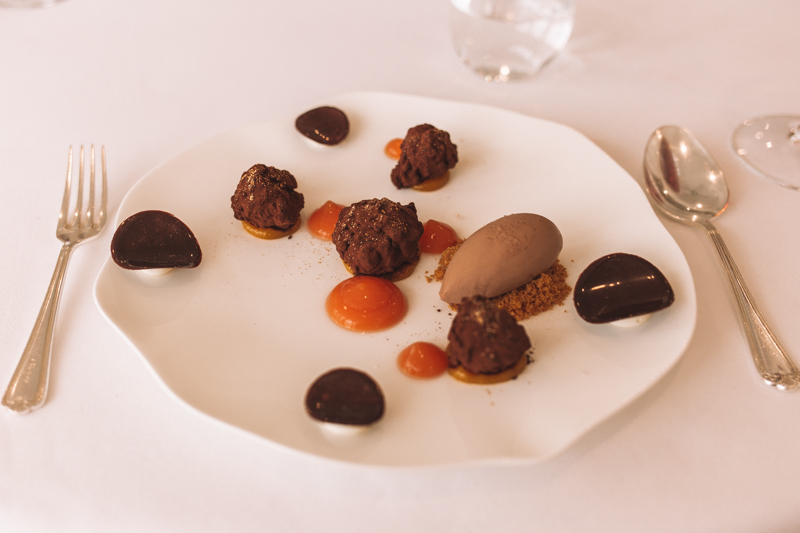 I opted for chocolate orange truffles with blood orange puree, which again was beautifully presented. The truffles were gorgeous, and the tangy sauce was a great addition to it. It's one of those dishes that if I'd made it at home I'd have had a second helping. 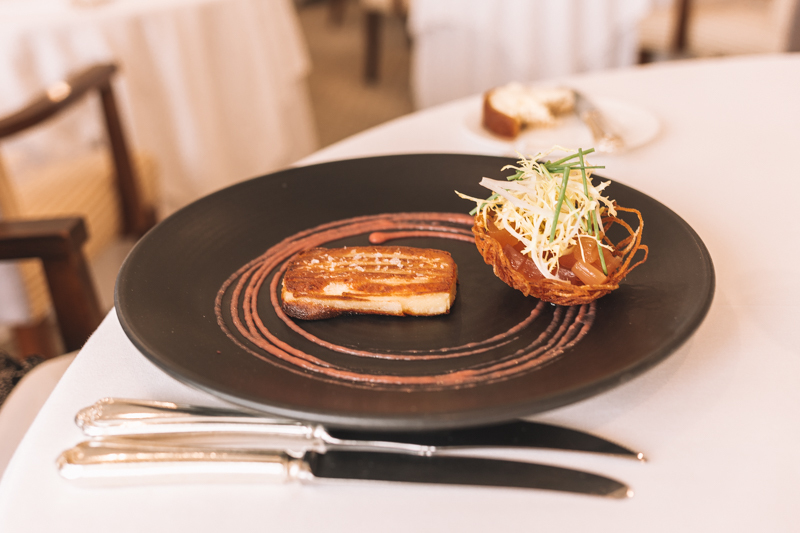 Ocean restaurant at The Atlantic is a triumph of food and service, yet doesn't forget that it is in Jersey, keeping to its island roots. 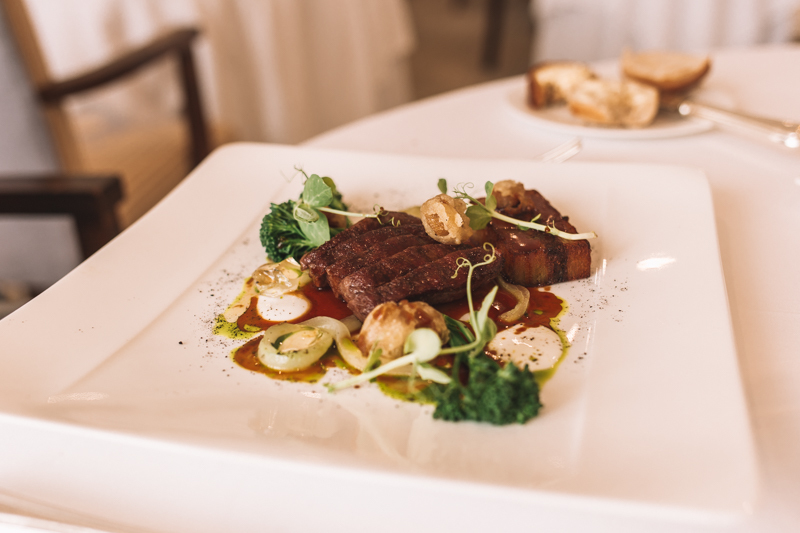 It's a great place for a relaxed yet refined meal whilst enjoying the amazing sea views. Also whilst brief, from what I saw of The Atlantic hotel, it really did look like a gorgeous hotel with beautiful open spaces and local art work around the hotel. I also bumped into the GM who chatted for ages about the hotel and how he came to move to Jersey, just showing that it really is a personal, welcoming hotel. Even more so when the next day, I ran into him in town and he remembered me. It's those little touches that really leave an impression and make me highly recommend it. That looks like a delicious meal!